It is perhaps not surprising that the fossil fuel industry has hit the panic button and is pushing hard for the Turnbull/Abbott Coalition government to dump the proposed clean energy target and replace it with something that might be called a coal energy target. They can see what’s coming – and there is probably no better way to describe it than a solar juggernaut. The fact that solar will become the dominant energy source appears to be under no doubt, even the International Energy Agency admits it. 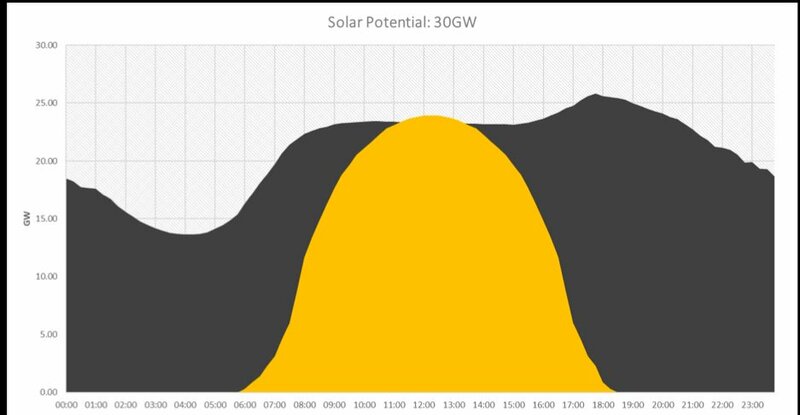 And the CSIRO and AEMO appear to be in agreement that even behind the meter solar will account for around half of all demand by the 2040s or 2050s. But what if it happened a lot quicker than that? Australia’s grid prices have jumped again to absurdly high levels, and this has lit a fire under the rooftop solar market, which will be followed by a major push by corporate buyers into the large-scale market. The solar sector could boom in ways not previously imagined.